As we know, dogs come in all shapes and sizes. But how do you know if your dog is classed as a large or giant breed? If your dog weighs between 25kg to 44kg it is said that he/she falls within the Large Breed category. He/She will not reach full adult weight until 15 months of age, as they have a longer growth period. They usually have slower metabolism and high exercise requirements. Therefore their diets should take into consideration the need for bone and joint health as they can be prone to joint concerns. If your dog weighs over 45kg then they are classified as a Giant Breed dog. Giant Breed dogs tend to go through a two-step growth phrase. The first 6 months see rapid growth which includes bone development and require a diet that is high in energy and nutrients as well as being easy to digest. After this, muscular development takes place in which special attention is needed to be given to their bone and joint health. Giant Breed dogs usually attain their adult size by the time they are 18-24 months of age. 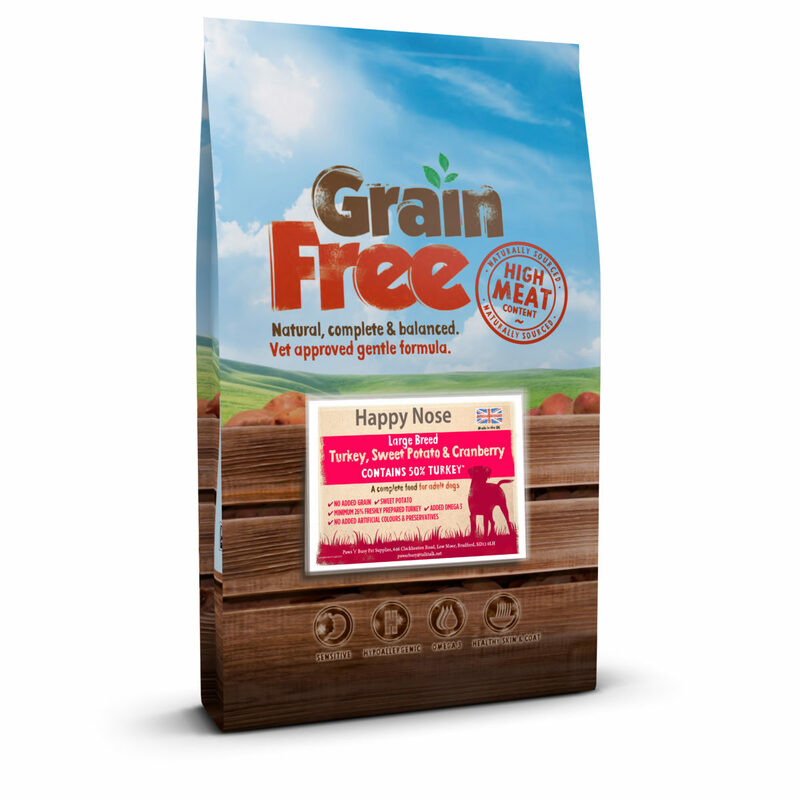 Here at Paws’r’Busy we offer a selection of both Large and Giant Breed recipes within our Happy Nose Dog Food range.